When Angel of Finality enters the battlefield, exile all cards from target player's graveyard. I use all those same tricks in my Budget Commander League deck Glissa, Scrap Trawler $50 EDH. It's difficult because the A/D/D use the same abilities so the obvious Torpor Orb is out. The best way is using Haste, Lightning Greaves swing with Kaalia of the Vast , if you've tutored and resolve a Iona, Shield of Emeria naming you should be in pretty good shape for example. Avacyn, Angel of Hope can protect you from Woodfall Primus . Leyline of the Void is the best, if it's in your opening hand then It's CMC0, otherwise CMC4 is quite reasonable. Shuts down the recursive component of the deck. Bojuka Bog is a classic. Rest in Peace / Grafdigger's Cage but since you have some recursion too might hurt you on occasion. With either you could combo with Helm of Obedience . Some others Angel of Finality (Angel). Nihil Spellbomb (Draw). Keep in mind that Leyline of the Void also means Meren of Clan Nel Toth isn't getting experience counters since the creatures are exiling not "die"ing. Cauldron of Souls might also help, but they can see it coming, and CMC5. Cauldron Haze is a bit more tricky. 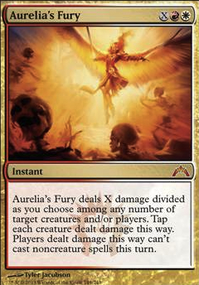 Archangel Avacyn Flip but doesn't help against Sacrifice (shes no Sigarda, Host of Herons ). Teferi's Protection works good. You can also just have fodder to sacrifice, Angel of Invention or Bitterblossom or Abhorrent Overlord or Regna, the Redeemer something like that. Replace the cards with something like Harvester of Souls but he might get killed, or Midnight Reaper . Another way is to pick an Infinite Combo (like my Kiki-Jiki, Mirror Breaker + Restoration Angel ). Winning on your turn (maybe with a Grand Abolisher out), is the easiest way to avoid the conflict! Or just haste + Master of Cruelties him lol, if the board is clear. I just put this deck together after a long time of mulling it over, i'll be uploading my own list soon. Some staples you're missing include Angel of Finality and Angelic Field Marshal , those two can be good if you want to stay budget. If you can drop a fat 100 on this deck you should definitely pick up the 'hate bear' angels, they might not be very good for your casual environment though. Linvala, Keeper of Silence and Iona, Shield of Emeria are both very good. Dawnbreak Reclaimer is a stupid good card and isn't expensive. 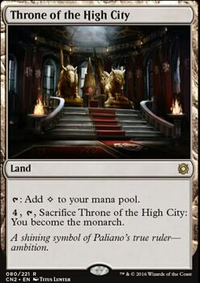 Mask of Memory will probably do everything Jalum Tome will do without needing to keep plugging mana into it each turn so you can spend free mana on using Resplendent Angel 's ability instead. I tried Resolute Archangel and found it underwhelming. Its an expensive 4/4 and you just need to not be at zero life to win. Incidental life gain is great but I had a couple times where I pulled this late when I needed removal and honestly going back to 40 still didn't save me. I have found Angel of Jubilation and Angel of Finality more useful. And this may be a deck where Crovax, Ascendant Hero could shine. Any thought to including Mistveil Plains or Emeria, The Sky Ruin for recycling/recursion? Also, I'm trying to keep in mind Kaya, Orzhov Usurper's +1 which relies on cards being in the graveyard. I've tested Deadeye Tracker, it's costly and too slow in this build. At times may even rob Kaya's +1 from being optimal. 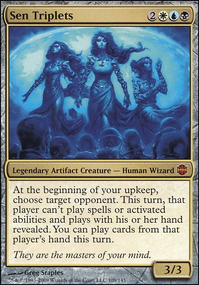 Ayli, Eternal Pilgrim would fit better in a deck that utilizes lifegain more efficiently. Banisher Priest would be effective side board material to replace Kitesail Freebooter against more creature heavy decks. 3 Fatal Push and 4 Path to Exile may be to much creature only removal against some matchups. Angel of Finality may have a place in the mainboard. Thanks! The remaining cards seem too high cost for the early game control this deck seems to be pushing. Yes, but all the early game hand disruption and creature removal makes it hard to not take advantage of those cards rapidly filling the graveyard with Gurmag Angler or a similar card. Kaya will not be drawn many games, unfortunately... so Gurmag kinda makes the deck less onesided. Thanks for the insight! 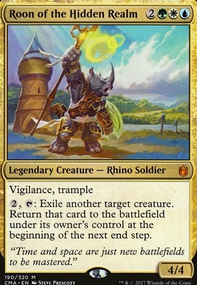 Never really focused much on a exile strategy, and you brought some great cards to my attention. Mmm I see in that case, than I would definitely recommend a lot of the fast mana rocks. If you can get your hands on them. I think you already know them but I'll list them just for the sake of it. Mana Crypt , Mana Vault , Mox Diamond , Chrome Mox , Grim Monolith , Basalt Monolith , Worn Powerstone , Pearl Medallion . 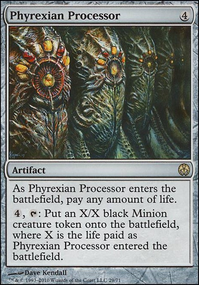 I would also recommend some protection spells or recursion spells Faith's Reward , Rebuff the Wicked , Silence , Lapse of Certainty , and Teferi's Protection . If you want to keep the Angel theme some good angels are Angel of Jubilation , Lyra Dawnbringer , Archangel of Tithes , Platinum Angel , Baneslayer Angel , Emeria Shepherd , Angel of Finality , and Karmic Guide .